When I moved out to Las Vegas last year, I was convinced that no matter which CrossFit box I ended up at, it would become my home. I would have a built-in network of friends and it would be a seamless transition. It would take 6 months before I found my home and a year before I felt like I had friends and it’s all because of Camp Rhino. I tried out the box on a whim. One of my best friends was visiting from home and we dropped into Camp Rhino. Walking in, you expect a typical box with a “waiting area” a WOD area and maybe a free area for stretching, but what we found was so much more. Upon walking in there were huge obstacles stretching the length of the gym space. Walls and monkey bars, salmon ladders and ropes, a virtual playground indoors. We had to try, and we did, after we tackled a great CrossFit class. The coaching was thoughtful and the WOD was brutal. But it wasn’t just the workout, the people in the class were immediately accepting. They wanted to know about me and if I was coming back. Did I want to be shown around? Did I like it here? I loved it. I found a Groupon for a month trial and thought I should give it a go. I had no intention of coaching, I thought I would just try to be member. Within a week I was back coaching and loving it. I quickly became friends with my 6am Rhinos and within a few months started learning how to coach bootcamp classes. I found a kinship with Julie Johnston, the owner of Camp Rhino, and she has been amazing to work for. At the end of the day I just didn’t find a gym…I found a family, and that’s what we are here at Camp Rhino. This community, who looks out for each other and laughs with one another. Who greets a long-lost member as if he never left and calls when a member stops coming. There’s no separation of disciplines. 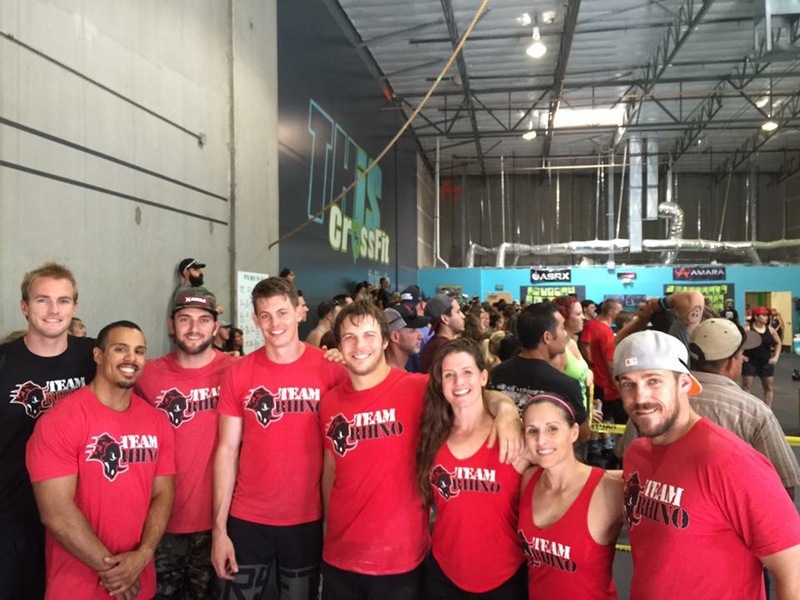 We have bootcamp, CrossFit, Ninja Warrior and Strongman all under one roof. It doesn’t matter if you’re a bootcamper, or a Ninja, we all take each other’s classes and hang out together. I am inspired every day by my Camp Rhino family. By their drive, their determination, their community and their friendship. We are a team, we are a family, we are Camp Rhino. Until next time.